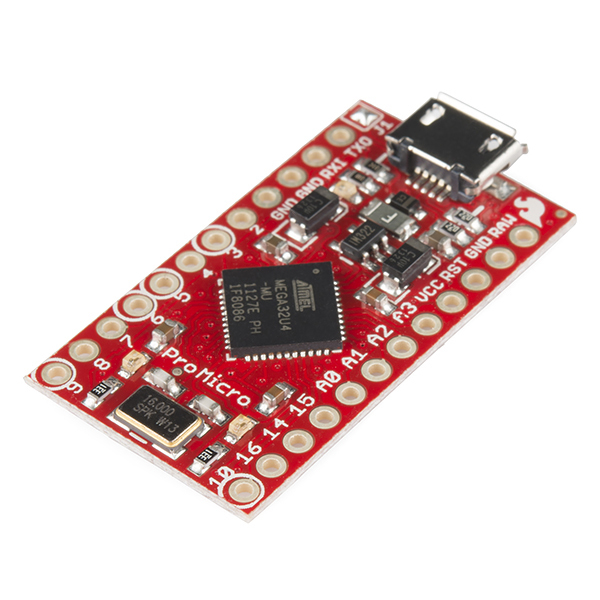 The Pro Micro is a micro controller with an ATMega32U4 IC on board. The USB transceiver is inside the 32U4, adding USB connectivity on-board without external USB interfaces. This comes in both a 3.3V and 5V version.